The race to Mars is not without its peril. As the world’s superpowers vie for supremacy in space, the true intent of the aliens, and the ultimate destiny for the human species, is revealed. Can the world marshal the will and resources of its people to strike back and take control of its own fate? Can NASA, led by Richard “Rock” Crandon, and America’s adversaries find the ultimate courage to face what lies at Discovery’s End and save the world? 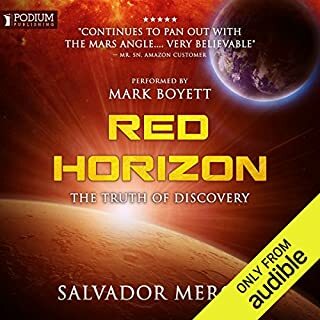 The truth of discovery is on mankind's horizon, a Red Horizon. For nearly four long years, the world's superpowers have mobilized their people and resources in preparation for the next discovery, Mars. The race against one another pales in comparison to the inherent dangers of travelling through the vastness of the cosmos, going where mankind has never gone before. 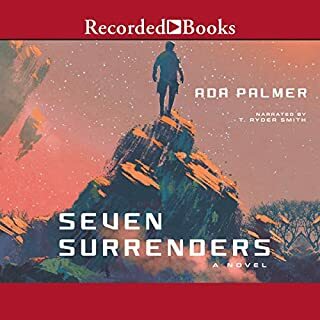 I loved the first book and was ecstatic to see this get an audiobook. 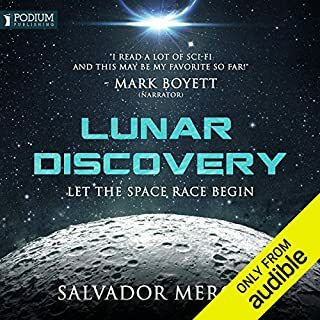 It wasn’t quite to the level of Lunar Discovery - it took far too long to get going, and the character development felt much more clunky - but the ending was excellent. I look forward to book 3! In a future of near-instantaneous global travel, of abundant provision for the needs of all, a future in which no one living can remember an actual war, a long era of stability threatens to come to an abrupt end. For known only to a few, the leaders of the great Hives, nations without fixed location, have long conspired to keep the world stable, at the cost of just a little blood. A few secret murders, mathematically planned. So that no faction can ever dominate, and the balance holds. And yet the balance is beginning to give way. For me, a life long lover of the sheer originality and depth that can come out of the SF genre, this will be one of those series that I come back to again and again throughout my life. 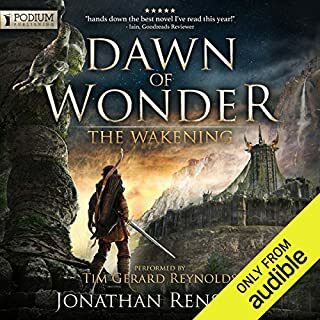 An engaging story, fully-fleshed characters, a utterly unique and deep world, and the most complex and directly astounding first-person perspective and thematic presentation style I've read. Whatever you do next, Madam Palmer, I will be an eager reader for life. 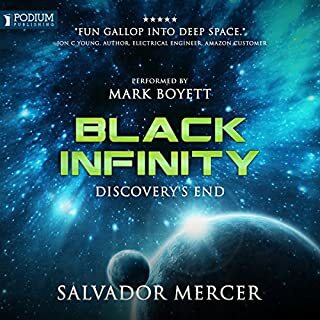 I was slightly disappointed they'd switched narrators between the books, but by an hour in I was already sold on Smith. Make sure you read Too Like the Lightning first! 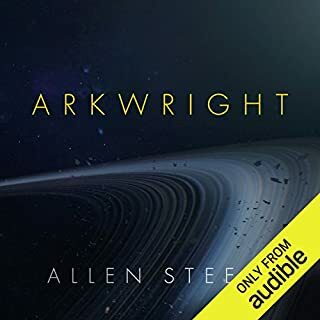 This was an enjoyable story with a strong connected narrative and an exciting optimistic view on the potential of science fiction to effect science development. 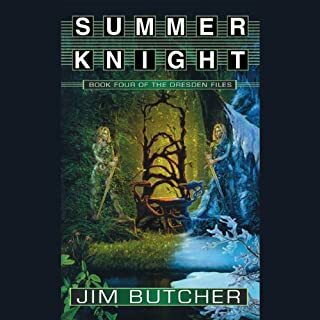 There were some dull parts in the story, and the constant shift in narrators as the years pass leads to some less-than-stellar character-driven storylines, but the ending was well done and enjoyable. Perfect read for big Sanderson fans. Don't start on this one if you haven't already been absorbed by the great mass of Sanderson's collective works, as these are all short stories with big spoilers for the respective series. But for those who've read them all, this is gold. 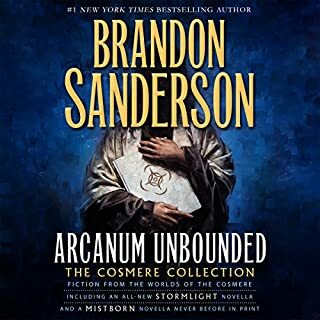 The sheer scope of the universe Sanderson has crafted is astounding. 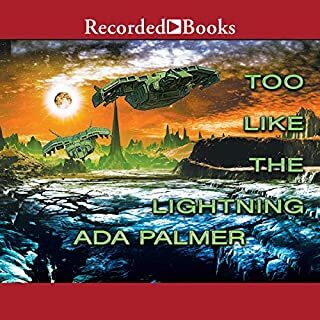 Fun, hard science fiction that mixes heavy detail and consistent action and drama. Heavily enjoyable throughout and lacks any boring lapses. The only downside was the lack of detailed character development - with its size and the multiple storylines needing to be properly finished, the author didn't have much room for detailed character depth. Not a serious issue though - this one is a gem and shouldn't be missed if you like hard-SF. Can't wait for the sequel. There were many enjoyable parts to this book, but much of it felt unpolished. Ryu was annoying perfect, and while both the female leads were in contrast much deeper, there were big parts of both their story which where completely unnecessary and painful to hear. Author couldn't stop torturing the pair of them. If you like a gritty action, you'll probably like this, but the action went from great in the first half to stale in the second. Too much left to the imagination while the characters "swords flashed faster than anyone could comprehend". Renshaw has worked magic, and this feels like the beginning of a next great epic. 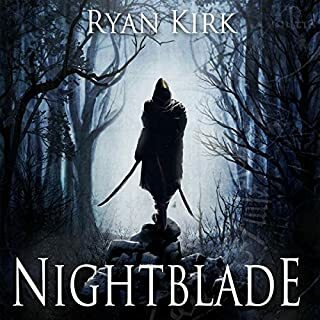 In his attempts to humanize his main character and avoid the Mary Sue qualities that so many epic fantasy series find themselves mained with, Renshaw crafted Aedan into one of the deepest main characters I've read in a while. This can be absolutely infuriating, because Aedan's weaknesses at times slowed the book to a crawl, and I cursed the name of Jon Renshaw for putting his main character through so much conflict upon conflict upon conflict. Every time I thought the book was lining up for a breakthrough-Aedan-crushes-his-fears moment, it didn't. And that was infuriating beyond words (I had fellow commuters who noticed and wondered why I was screaming in my car - that's how emotional this book got me). But his is a slow, deliberate process, and I'd be lying if I said I didn't enjoy having a character feel THIS real, with all the downsides of a real, real person. There were things I didn't like about the revelations in the end of the book, but they pailed in comparison to just how much fun 95% of this story was. The world feels real, the side characters deep, the conclusion was just solid enough to forgive the set-up for the next one. Also, Tim Reynolds is a beast of a narrator. In short, try this. Reynolds has me eager for more.